NY Sportsday.com and Newsmax columnist Ray Negron is about to add another honor to his fabulous career that began in baseball as a result of a fateful meeting that took place over 45 years ago. The Award winning author, playwright and film producer who started his career in the early 1970’s, will be honored with an award at the NY Professional Baseball Scouts Dinner on Friday, January 25th, at Leonard’s in Long Island, NY. Ray’s story is one of legend. As a 16-year old, he was caught spraying graffiti on a Yankee Stadium wall by George Steinbrenner. The Boss did not turn him into the police, instead, Negron got a job as a Yankee bat boy and the rest is history. Negron is a member of the International Latino Hall of Fame and the Ted Williams Hall of Fame for his humanitarian efforts with children around the country. Ray has earned great respect for his leadership in the Latino community. At present, Negron remains close to the Steinbrenner family and is the Yankees Community Affairs Consultant where he helps inspire those in need by encouraging Yankee players to do the same. Negron is very appreciative of where he came from and his proud Latin heritage. 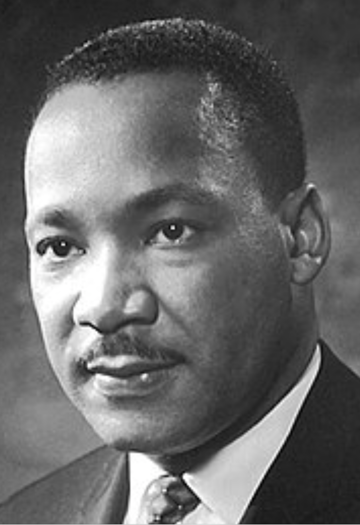 With Martin Luther King Jr’s birthday approaching, Ray wanted to offer this message of appreciation. 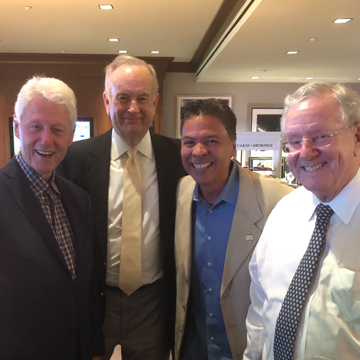 “One former President, one very powerful journalist and one of the richest men in the world with one ordinary, simple Latin American guy from the Bronx. Only in America could this happen. Let’s appreciate this great country. Thanks Mr. Clinton. Mr. O’Reilly. Mr. Forbes for sharing a laugh and treating me as an equal. Monday we celebrate Martin Luther King’s birthday and I would like to think that he would have been proud of these gentlemen for accepting me, the guy from the Bronx. In 1974, when I was going through my own insecurities, George Steinbrenner told me that this day would come and I would be able to walk with my head held high and that I would be accepted anywhere and everywhere. Three years later, Billy Martin would validate that when he took me to have dinner with Sammy Davis Jr and the Chairman of the Board, Frank Sinatra, at the famous Italian restaurant, Patsy’s, on 56th and Broadway. Sammy and Mr. Sinatra could not have been nicer. Forty years later I still go to Patsy’s because of the great food and the fact that I can still reminisce about coming of age with Sal and Joe Scognamillo, the owners and my friends who treat me like family. If you go up to the second floor of the restaurant you can see a portrait of Sinatra, Sammy, Billy Martin, Joe the owner and yes, yours truly. The NY Professional Baseball Scouts Dinner will take place at Leonard’s of Great Neck, Long Island on Friday, January 25th. Tickets are available. For more information, contact Billy Blitzer at bbscout1@aol.com.